For the third time in a row, Harlingen CISD has taken top honors in the It’s Time Texas Community Challenge presented by H-E-B. With 1.5 million points the district took first place in the Mid-size school district category. Also, winning in the Mid-size community category was the City of Harlingen. 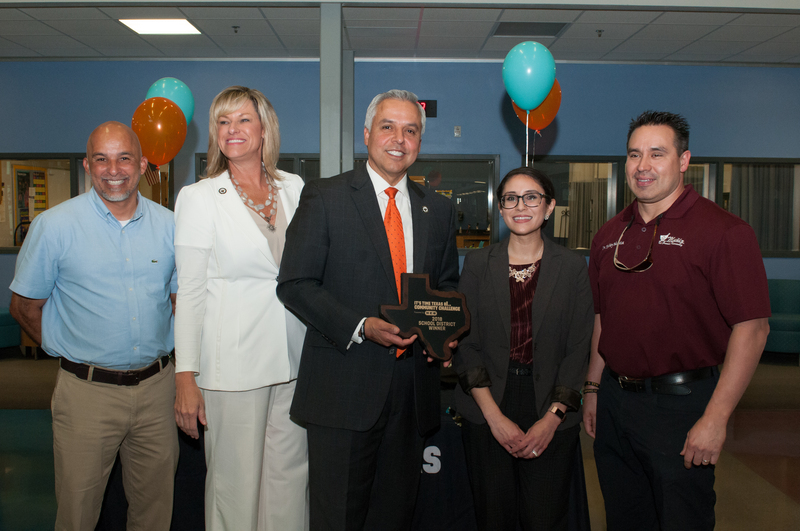 HCISD celebrated their achievement during a packed afternoon assembly at Harlingen School of Health Professions. HCISD administration and city leaders were on hand to commemorate the occasion. Harlingen Mayor Chris Boswell talked about his personal experience and how his participation in the Challenge compelled him to lead a healthier lifestyle. 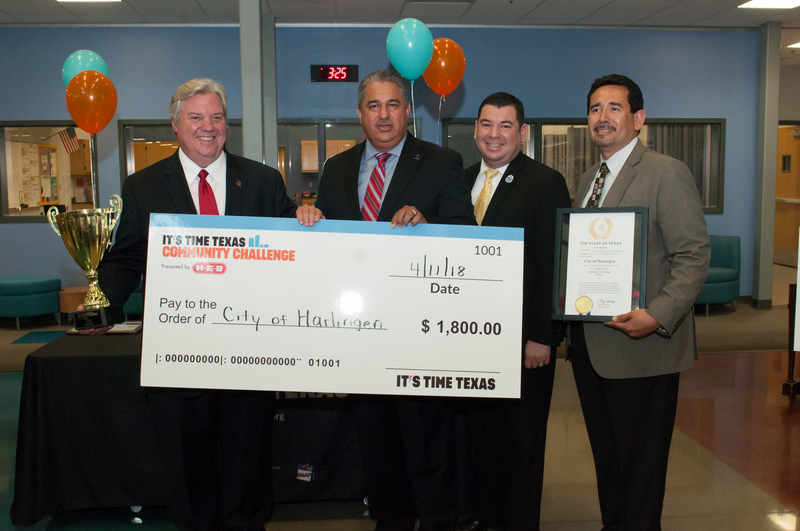 Harlingen participated in the challenge from Jan. 8 – March 4, by hosting events, logging workouts, and posting on the It’s Time Texas website. This year, the It’s Time Texas Community Challenge had over 21,000 people register for the community challenge representing over 200 communities. Throughout the 8-week competition, participants logged more than 36 million minutes of physical activity, submitted over 37,000 healthy selfies, and lost almost 7,000 pounds. The community challenge is a state-wide friendly competition among different communities to prompt people to take healthy actions.